Stern gland is a collar of either rubber or brass designed to prevent the ingress of water where the propeller shaft exits the hull of a narrowboat. Stern Gland… What is it? 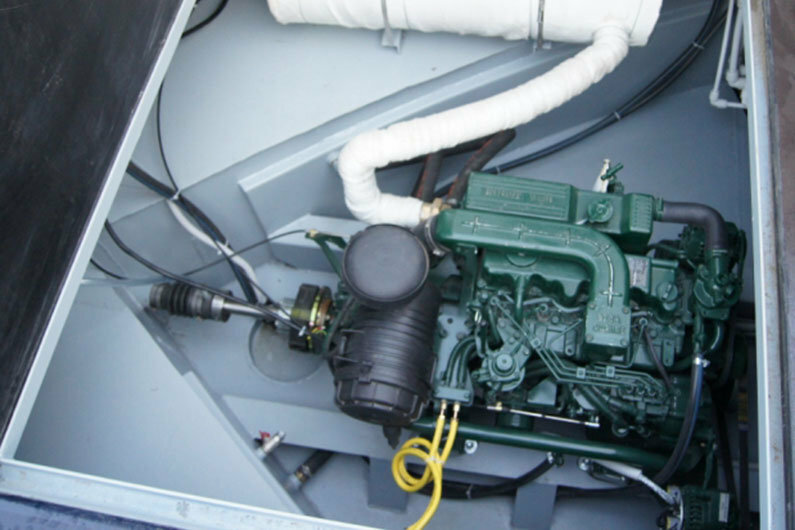 Available in a variety of different types, there are two basic systems that are commonly used in canal boat construction. The most common type is a brass tube through which the propeller shaft passes. Within the tube, and around the propeller shaft, is placed 3 or 4 overlapping coils of graphite impregnated rope. A collar compresses the rope around the propeller shaft (allowing for cool rotation). In the top of the gland is provision for a grease pipe connection. 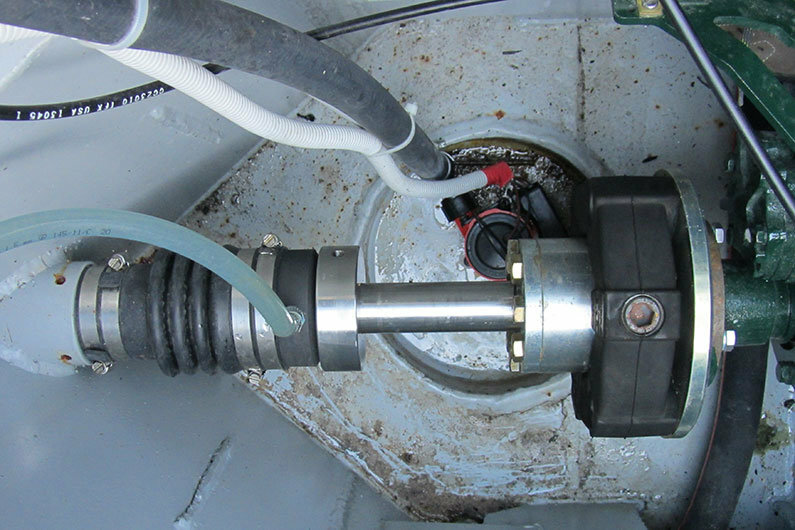 The pipe in turn is connected to what is known as a stern gland greaser, in effect a screw down grease gun which delivers lubricating and sealing grease into the stern gland. 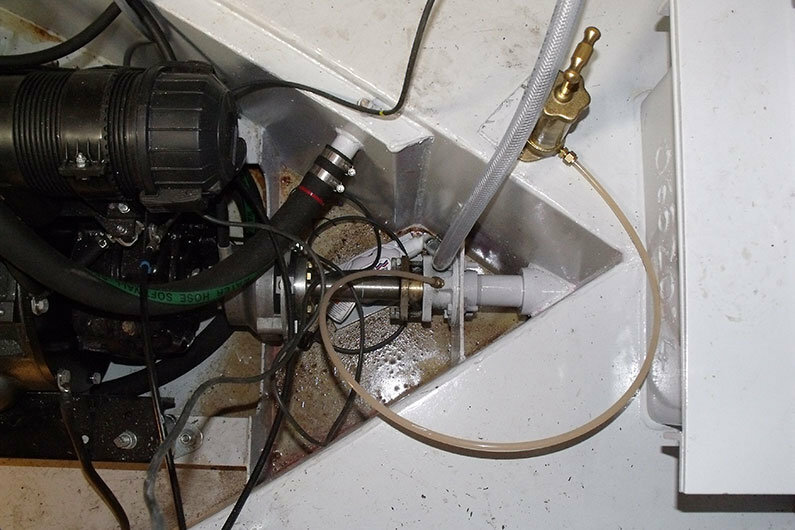 It is important to only use special water resistant grease, available from all good chandlers, and to remember to regularly turn the greaser to prevent water entering the bilges and causing problems. Do not neglect your stern gland. Boats have sunk due to poor attention to maintenance and daily greasing. An elegant solution for those who do not enjoy daily maintenance whilst enjoying their boat. In this system, the propeller shaft revolves inside a donut shaped rubber collar. A number of seals inside the collar prevent water entry. Lubrication comes from an allowable ingress of water, which is usually expelled via a tube into the weed hatch as it pressurises due to the rotary motion of the shaft. Do not be fooled into a fit-and -forget approach to these glands. Whilst not completely maintenance free, they are generally cleaner in use than a traditional greaser type but they do require regular inspection by way of preventative maintenance.